Child population. The birth rate has been growing since the early 2000s (and is expected to continue until 2014) after a long period of decline in the 1990s. Wipe use. Parents are using baby wipes for more reasons such as on-the-go cleaning after eating or playing as well as make-up removal, so extending the use beyond the traditional nappy-changing function. Discounting. Almost a third of parents buy whichever brand is on special offer although a third opt for the most reliable regardless of price. Reusables. Consumers remain unconvinced by the environmental arguments for reusable nappies over disposables and only 2% opt for reusables. Innovation. NPD has focused on better absorption so extending the time between changes and reducing overall volume. Own-label. About four in ten parents buy own-label and as they are becoming a more viable alternative to the brands for many as retailers have improved the quality. Dolfini's career with P&G began in 1995 as assistant brand manager on laundry and homecare in Italy. She has worked in the Nordics and Geneva in other marketing roles with the company and in April 2010 came to the UK where she has taken up the role of marketing director covering baby, feminine and healthcare categories. Redmond joined Kimberly-Clark as a graduate trainee in 1991. She took over the UK marketing director role in 2010 heading up the UK personal care team covering Huggies, Pull-Ups and Dry-Nites among other brands. Redmond has worked in various UK and European marketing roles during her time at K-C.
Assinder has looked after UK marketing for Naty, Swedish producers of Nature Babycare environmentally-aware nappy range, for the past two years. She previously worked in sales and marketing for small, independent food companies supplying supermarkets. Pampers. 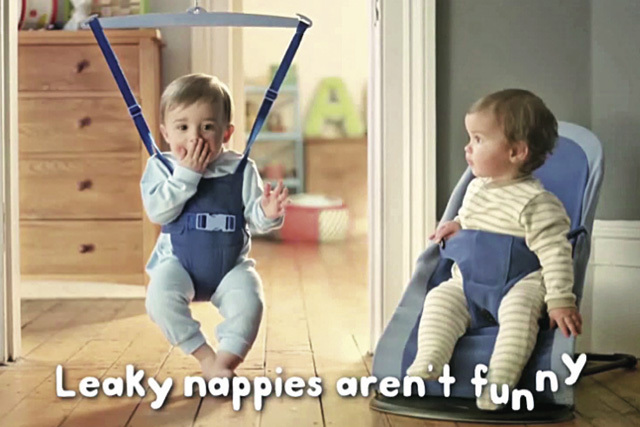 P&G's brand remains the dominant nappy brand, and number two in the wipe market thanks to its strong brand heritage. Brand loyalty is strongest for Pampers with more than half of parents who buy it, sticking with it. Johnson's. Continues to dominate the wipes market and saw its share grow 6% between 2010 and 2011. Huggies. The number two brand has failed to eat into Pampers' share and its wipes share has declined (down 6% 2010 - 2011) , although it has maintained its share in the face of own-label onslaught. Huggies' shoppers are more likely (45%) than Pampers' users (36%) to switch to whichever brand is on special offer.